You will likely have found this page after searching for write for us or similar. 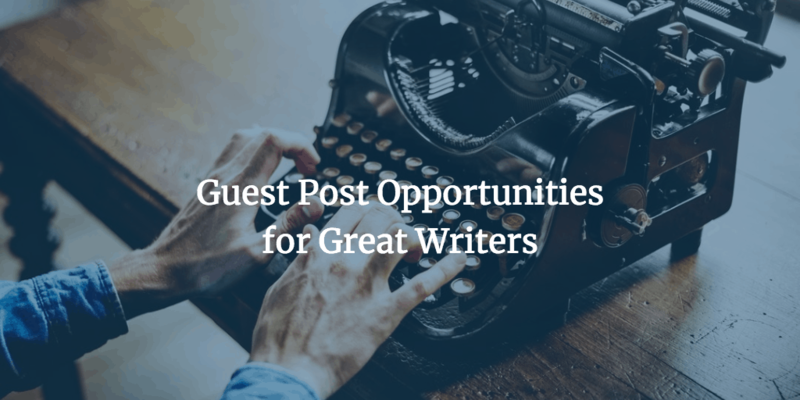 If you have you know the story regarding guest blogging. But, just in case you don’t the following are some guidelines. Send all requests to leslie (at) cubedigital (dot) io – bear in mind my name is here – use it or go in the bin. 11 Are You a Writer? Don’t be anonymous. Don’t expect a reply if you send me an email from an anonymous Gmail address and don’t tell me the website you are writing for – you are just wasting time – and not doing a good outreach job. We like to network and like for wins for everyone. Be a friend, follow me on social – I will follow back. I expect at a minimum that you share the published post on all your social channels – yes, it has to be that good. Do us all a favour and add to Buffer or Hootsuite and try a few different titles over a week or so – the love works for us all. We share all posts on our social channels – LinkedIn being our most important. I expect you to reply to comments, why wouldn’t you? It is added work checking out the post a few times during the week after publication, but visitors expect answers to their comments. We publish information type articles on our blog, we don’t publish adverts for your business. Each post must be helpful, detailed, actionable, and agreed before – please don’t send me completed articles before we agree to titles and topics. Opinion is okay – actionable is usually better – data driven is brilliant, and we love tutorials. I NEVER publish infographics – please don’t send any. I can’t imagine publishing a post that is less than 1,500 words – but if you send me something that is fantastic and only 600 words I will publish. Copyscape – as I do audits for clients on a regular basis – it is one of my closest friends. I run this entire site through copyscape every couple of months. I expect all posts to be your writing, (or your best writer), and never to be published elsewhere. I expect at least one, usually more, high quality royalty free images that are appropriate to the post. Make my life easy and mark where they should appear in the post – thanks. Format your post, paragraph heading, short concise sentences. Exact match anchors – seriously? Links like – SEO Agency Dublin – they aren’t going to happen. Please include an author bio, a headshot if you want, and links to your social profiles. Links in the text are fine, I expect high quality references. If you know what you are doing this will never be an issue. Reach out to any person or website that you mention in the post after publication. Like everyone in the industry, I am highly aware of my backlink profile. I love to see posts get great backlinks from other websites – but I will also delete posts that end up with spam links. Take the time to add links within the post to my pages or posts. I perform a content audit every year, sometimes more often. If the published post has no shares, no links, and no traffic or impressions, it will be deleted. Sorry, but there is no point in dead weight. I am based in Ireland, my main audience is Ireland and the UK, bear that in mind. I will edit whenever I think it will be helpful – however, I will not change any of your stated thoughts or opinions. Grammar and spelling – I know you will never have a problem in this area. Yes, I deliberately left this till towards the end, just checking you bothered reading the guidelines. If you have not read this far and send me suggestions that are not on the topic list, I know you are not paying attention and that doesn’t work. Obviously, I would love you to link to the post from your site, but it is not a requirement. But, I will hit you up at some point in the future for the return of the favour on your site or another you run – again not a requirement to accept. We aim to publish about 100 posts during 2019, one in-house and one guest each week. So, publishing might be a few weeks out. If you are one of my direct competitors in Ireland, this isn’t going to work – unless you are willing to publish our post on your site. Even then it would be good to have a chat. That’s it. These write for us guidelines are fairly standard and if you have been doing this for a while there will be nothing you will find strange. We are open to paid writing gigs. Send me your details, areas of expertise, examples of published content and your prices.